By clicking «Submit Agreement» I agree to the Virto Commerce Terms and Privacy. Why Contributor License Agreement? We require CLA in order to mitigate the risk to us and to our community of accepting contributions that violate intellectual property rights of others. 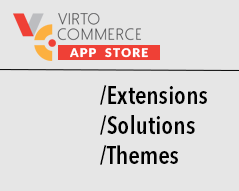 Definition: "Contribution" is any original work of authorship, including any modifications or additions to an existing work that I submit to Virto Commerce for possible inclusion in Virto Commerce's software. I hereby grant to Virto Commerce and to recipients of the software distributed by Virto Commerce a perpetual, worldwide, non-exclusive, no-charge, royalty-free, irrevocable copyright and patent license to reproduce, prepare derivative works of, publicly display, publicly perform, sublicense, and distribute my present and future Contributions and such derivative works. I represent that I am legally entitled to grant the above license and I represent that each of my Contribution is my original creation. I understand that I am not required to provide support for my Contributions and that all contributions are provided "AS IS" without any explicit or implied warranties.